This example shows simple variable output from application to the report result file. There is only one button Make on a form. 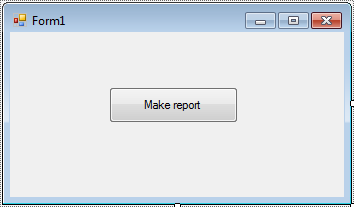 The report template contains one field \HelloVar\ enclosed within the \\ chars. The variable is created inside the program code below.